Our top local varsity athletes recently competed at the Asean University Game, or commonly known as the AUG. In it’s 15th edition, the top varsity athletes from the ASEAN region converged to Thailand for the celebrated University games, which was between held 15th to 23rd December 2010. For the sport athletics, our 25-strong Singapore athletes brought back home 12 medals, out of the 42 events that were contested. 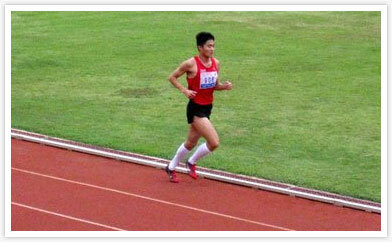 The events was held at the Main Stadium, Maejo University, Chiangmai. From the 12 medals, one of it was gold, two were silver, and nine were bronzes. 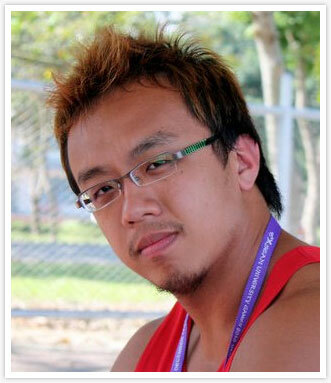 Our sole gold medal was achieved in the century sprint event, where NUS Economics undergrad Md. 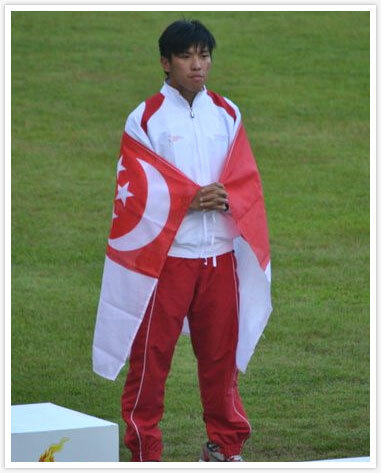 Elfi Mustapa won the 100m men’s event with a time of 10.59 seconds (+0.4 m/s), and at the same time became the first Singapore athlete to qualify for 2011 SEA Games, after surpassing the 3rd placing qualifying benchmark of the 100m SEA Games 2009 final, which was 10.61 seconds. The two silvers came from Sharman Abdul Rahman Dustageer who achieved a season best in the men’s 110m hurdles with a time of 15.28 seconds. 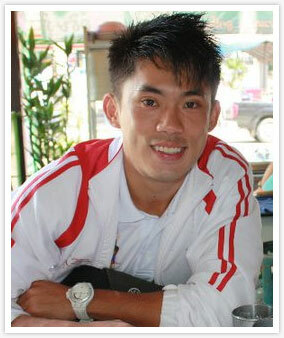 While 2007 SEA Games triathlon champion, Mok Ying Ren showed he’s becoming quite the distance runner, by grabbing second spot in the men’s 10,000m event, finishing in a time of 34:38.30. Both are from NUS. Below is a breakdown of Team Singapore AUG athletes results. Photos are courtesy of Md. Elfi Mustapa and Lance Tan. AUG was a pretty good experience for me. It was almost a SEA Games prequel, as countries like Thailand and Indonesia send a strong squad earmarked for the SEA Games. It was pretty much different from the bigger games like the Asian and Commonwealth games, as at the AUG we get to work together with athletes from various schools, and the team bonding was more apparent. It was also befitting as a last race of the season for me. I won the 100m, came in 3rd for 4x100m and 4th for 4x400m. 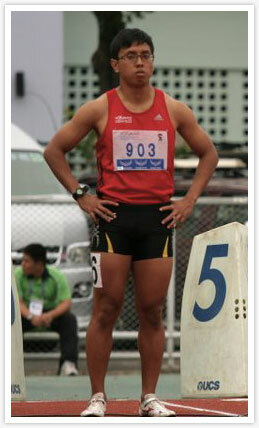 Going into my 100m events, I knew I had to perform much better than my previous outings in Asian and Commonwealth Games. My coach also gave some advice on ending the season with a high. What helps a lot was the lack of pressure to perform, I was very relaxed and didn’t have much in mind. My sole aim was to do better than the Asian Games. To win the 100m while equalling my PB of 10.59 seconds is quite a feat for me. I certainly didn’t see it coming, but it is a great achievement nevertheless. We also did reasonable well in the 4x100m, coming in 3rd with 40.61 seconds. I was also quite happy with the 4x400m, as it is my first time I’m doing that even in an overseas competition. I was expecting quite stiff competition and I was proven right. The presence of the Indonesian national team and some of the Malaysian national team members gave a sneak preview of next year’s SEA Games. I now know how much more effort I’m going to have to put in to do well at the Games next year. I did pretty decent I suppose. 10.69 seconds for the 100m is a decent time but I had hoped to run better. 40.62 seconds for the 4x100m was not too bad. It was the first time I was passing to Lance Tan (Leg 4) in this line-up but we have to improve on our baton skills if we hope to match up with the other countries. The experience was very refreshing for me as it was my first overseas competition and to go for 10 days and see the large difference in standards in track and field really made me think about how our sports industry is not helping athletes enough who are juggling studies and track at the same time. Therefore its hard to match up to our Asean counterparts. Apart from competiting in a slightly cooler climate, the experience of going as a contingent made the overall experience priceless. For my first proper 200m race in my life, I did 22.8 seconds. 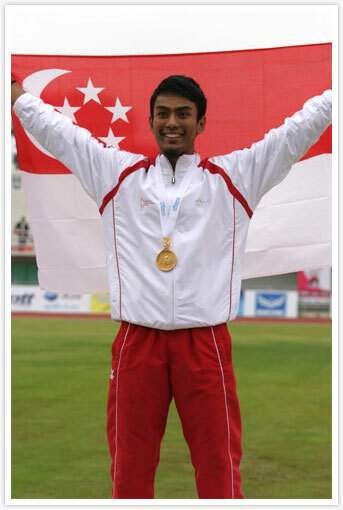 The 2010 AUG was definitely memorable for me as my team and I came back with a bronze in the 4x100m with a time of 40.62 seconds. I ran the anchor leg in the 4x100m as my other team members were the same team that ran at this year’s Commonwealth and Asian Games, so we didnt want to fix what’s not broken. Anything can happen in the relays, and our team was quietly confident we could win. 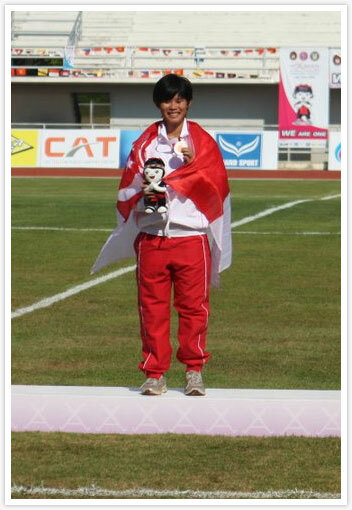 I was 2nd when I received the baton from Amirudin, but I was no match for the Thai’s anchor. All my teammates ran superbly, but it was not to be. Nonetheless, I’m delighted with a medal. The trainings leading up to AUG was far from ideal, as I strained my hamstring 3 times in a space of 5 weeks. However, I managed to clock a hand-timed 120m in 12.9s just before I left for Chiang Mai, which earned me the place in the 4x100m relay team. As I could not get my planned speed endurance workouts done, I was not surprise with the medicore timing in the 400m individual race, where I finished 7th in the finals. I’m also delighted with my good friend and NUS team mate, Elfi, who won gold in the 100m, and gave us the privilege of singing our National Anthem in the stadium. 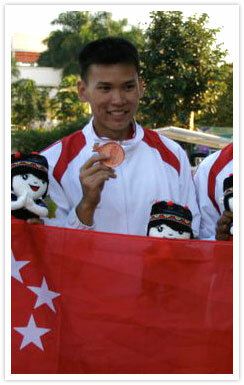 He won Singapore’s only gold. However there was also a negative moment team Singapore endured during the games – when the women 4x400m withdrew from their finals. It occurred when one starting team member sustained an injury and the reserve did not want to run. Pity as the team could have won the bronze medal. The organisation at this AUG was not as good as the previous edition, in terms of transportation, food and accomodation. However, I’m certain the host did everything they can to ensure the Games ran smoothly. The stay there was good. The weather, however, was a little erratic. It was hot when we reached there. When it rained a couple of days later, it was cloudy for 2 days and it became very cool. Then it was back to hot and dry again. The athletes there were very friendly. Had dinner with some, like the Indonesians, a couple of times in the hotel restaurant while staying there. 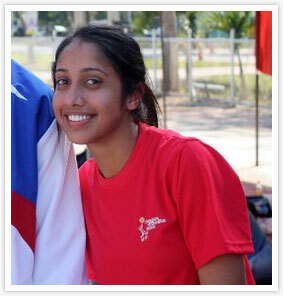 Mostly ate meals with Singapore athletes I knew. The breakfast was varied. The same can’t be said for lunch and dinner. After a while it became repetitive. There were also performances during dinner for the athletes’ entertainment. The Thai liaison officers attached to us were very helpful during our stay, though they were just students volunteering from the local Chiang Mai universities. Overall, I would say the AUG experience was good. Racing at AUG meant a lot to me as the level of competition compared to Singapore is higher. I was expecting to do personal bests (PBs) due to that. However, due to the hot and dry weather on my race days, I was unable to perform as well as I would have liked to. It also did not help that I have an injury on my sole which affected training during my exams before the AUG. I did 1:58.76 for the 800m and came in 6th, for which my PB is 1:57.99. I completed the 1500m in 4:14 and came in 7th. My PB for it is 4:09. I also took part in the 4x400m relay and we finished 4th in a time of 3:27. However, given more chances to race overseas, I believe I can do much better. AUG was an eye-opening experience as it was my first time running with some of the top middle-distance runners from other South-east Asia countries. I didn’t run well for my 800m. I was feeling too anxious at the start. Ran way too fast for the first 200m and I was unable to keep up the pace for the second lap. Well I must say it was an eye opening experience competiting in a different country with a different climate, Chiang Mai was alot cooler than Singapore and the air was definitely drier. And I felt the experience of competing overseas changes the dynamics of the competition. Alot more adrenaline inducing and nerve wrecking. Especially when I saw the other competitors from Thailand Indonesia and Malaysia who I must say are really quite exceptional. 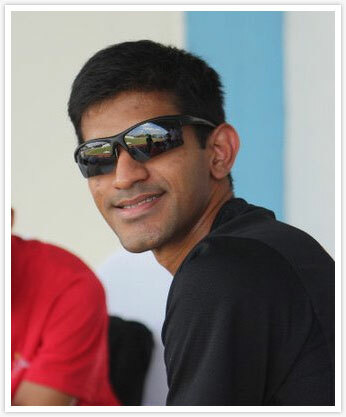 But I learnt alot too from the members of the AUG team who were national athletes like Amir, Elfi, Gary and Valerie. Especially from Amir in terms of race preparations psychologically and physically. In terms of how they approached the competition. Overall I thought it was a good experience, fun yet a more complete competition experience. For my races, I got 2nd for my 110 hurdles and 4th for 400m hurdles. I think the AUG was a rewarding experience. The trip was relatively well organized, we got to stay for the entire games so we had ample recreational time. The Thai people were friendly and accommodating. It was also great to get to know the various athletes from the other universities and to cheer for each other as a Singapore contingent after competing against each other during IVP. The level of competition was strong and we got to interact with athletes from neighboring countries who have competed and achieved at higher levels. Many of us had to train through the examination period in November, so this trip also sort of serve as a reward for the hard work we put in for the past few months. As for my results, I came in 7th for 5km and 3rd for 10km. The experience in AUG was great. Its my first visit to Chiangmai. I expected the weather to be cold but to my surprise it’s pretty hot with cold wind. The organizers in Thailand was fantastic. We are warmly welcome by them from the moment we step out of the Chiangmai international airport. There were banners and posters everywhere in support of the Games. From the opening to the closing ceremony of the games, it was very well done. The Thai people are very friendly and helpful. One of the tuk tuk uncle even came to support us during the competition! 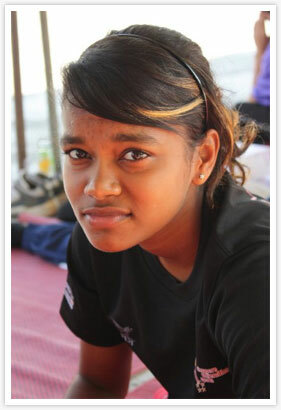 I was given the honour to be the contingent’s flag bearer, I got to thank SIM for the support. The competition level was good. 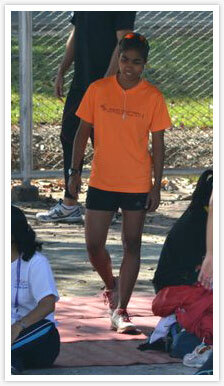 There was a SEA Games bronze medalist taking part in my event. I thought it will be good competition for me. I started well clearing 1.85m first attempt, 1.90m at second attempt and 1.95m first attempt. I failed all three attempts at 2.00m. I was rather disappointed that only my ankle touches the bar in my last attempt. This is my second AUG. Thailand has always been a great place for competition and this AUG in Chiang Mai is no difference. My Discus event is on the second last day of the game. Being there for eight days before the event is no easy task, considering getting proper training area and weights is not easily available. I got both fourth for Discus and Shotput. My distance isn’t that bad, I guess the competitors are stronger compared to the last AUG in KL. This might be my last AUG as I am graduating, I can’t say I did very well for this meet, but definitely a milestone in my track and field career to be remembered. The AUG was pretty awesome! I was absolutely thrilled to have been given the oppourtunity to wear the nations colours and compete. Especially since I had a holiday planned way ahead and could not travel with the team. I really enjoyed meeting athletes from the rest of SEA and soaking in the culture of Chiangmai, Thailand. The locals were so friendly, served great food and sold cheap stuff too. I had to watch my diet and made sure I put in some training sessions while on holiday and it paid off. 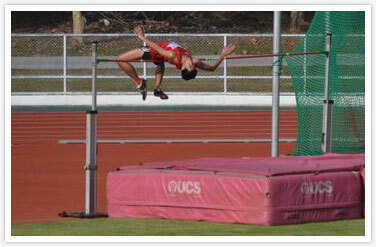 I managed a new personal best of 4.40m in the pole vault and also clinched 3rd. 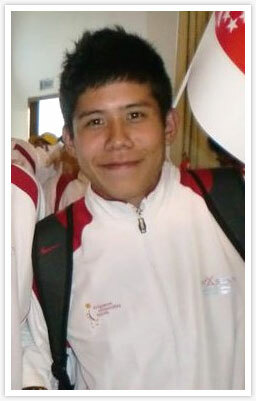 The only blemish was that I snatched the bronze from my pole vault buddy Chong Mingxun. For my event, the 2ndm 3rd and 4th positions all cleared 4.40m, and we narrowly missed out on the silver based on count-back. AUG was a great experience overall because the place was beautiful, the competition was keen and the team got along pretty well with each other. I’ve been on many trips last year (2010) either alone or with only a few people and always went later or left earlier, so it’s nice to have a team to train with while I’m there. As for how I did, I’m currently down with a glutes/nerve problem down my left leg and that affected my race quite a bit. But considering that I ran with the injury and clocked 12.35s I’m pretty satisfied with it. The relay team also ran well despite hitches in our passing and take off and very few trainings together. So that’s really a good start. The AUG experience this time around was quite good. Compared to to the previous AUG in KL, the stadium and all the facilities in Chiang Mai were on a much smaller scale as compared to KL 2 yrs ago. But everything was well run and the field of athletes were pretty strong. I didn’t win medal at AUG but I did achieved a Personal Best in the 100m despite not having done that event at IVP. It was quite a strong field. 6 of the athletes in the final went below 12 seconds and only me and Amanda Choo were running above 12 seconds. It was quite intimidating but I think that helped me to push myself. I also didn’t really run well in the heats. I did a really horrible timing of 13.07s and just barely qualified. It was partly because I didn’t warm-up properly in the cold weather. But I learnt my lesson and made sure I was warm and ready for the finals. For the 4x100m we finished 4th. Alot of the runners from Malaysia, Indonesia and Thailand were all doing around 11 seconds so we really had to fight. We also only met up a few times to practice our passing as everyone was busy with exams before AUG, so given all of this, I think the run went quite well but of course, there’s always room for improvement. For the 4x400m we had to pull-out on race day as one of our athletes pulled a hamstring. AUG was a good experience, it was (only) my second overseas trip of the year, and my first one with all the University team, so it was fun getting to know more people. I think i did pretty good considering I got a new personal best for the 200m. AUG was a fun experience. Most of us already knew each other each from training, from competing together before or from being in the same schools so it was fun with such a big group of us. We had quite a number of days there so we could also enjoy Chiang Mai apart from just competing. The people were nice and the weather too on the days it wasn’t so hot. The competition was pretty good as well. The winners for the 100m and 200m for girls clocked pretty good timings. So overall AUG was a good experience! It was a real eye-opening experience, it being my first overseas competition. It gave me a chance to evaluate my performance & where I stood amongst the ASEAN competitors. I got to learn about the different kinds of training employed in some countries. As for my race, I believe I could have done better in my 400m. I came in 6th in my finals. AUG was a good experience for me because I got to try a new event 100m hurdles. Also, it was fun to interact and bond with the other athletes. Its my last AUG so I’m glad that it was an enriching experience. I came in 4th in my event 100m hurdles. 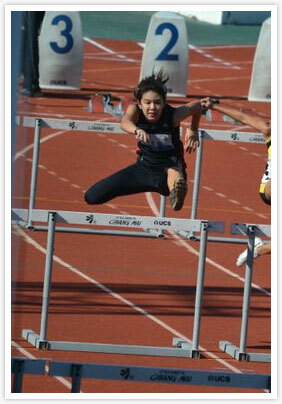 The timing was nothing great but I gained a lot of experience since its only my third 100m hurdles race. The AUG experience was great. The cohesion of 11 countries was simply something an eye opener for me. It was a great opportunity to not only be able to view the elites of other countries competing, but also to have the chance to race with them. These athletes not only are great performer, but they are also able to share their training strategies and training program with us. 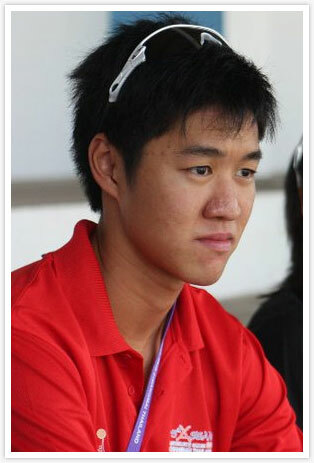 AUG also helped us to create better bonding among our own country athletes. The rooming of 3 athletes in a room somehow also created chances for people of different backgrounds to get to know one another better and also learn to live and accommodate with each other living styles. It was overall a good experience. 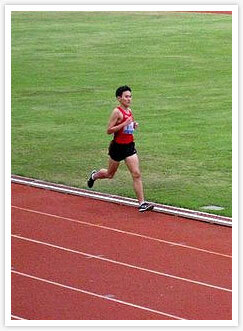 My performance at the AUG was not that great for my 10km race. I came in 4th with a timing of 43.47 mins, about 1 mins and 20 seconds away from my personal best timing during my time trial in Singapore about 2 months back. It was not an excellent timing. The race was ran mostly alone as the first girl was too far ahead (who was the SEA Games gold medalist) and the second and third girl started off very fast. I was about 80m away from the 3 rd position. As for the 5km which was held on the day after the 10km race, I did relatively fine; 21.15 mins though, I was also off my personal best timing. I was not very satisfied with my performances at the AUG.